A five-day course for ski instructors training for the BASI Mountain Safety and EMS/Eurosecurité exams. 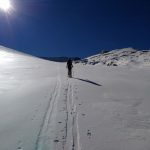 We combine skiing on the Les Deux Alpes glacier with off-snow training and a two-day mountain expedition to cover the syllabus of the BASI Level 3 and Level 4 Mountain Safety exams. 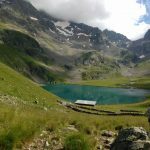 Engage a British Accompagnateur en Montagne (International Mountain Leader) to take you into the heart of the Ecrins National Park. The National Park is both the largest and highest in France, covering 918 square kilometres and rising to 4 102m at the summit of the Barre des Ecrins. The hiking trails in the region are much quieter than those around Mont Blanc, for example, giving you more chance of seeing elusive Alpine fauna such as Chamois and Ibex. In association with the European Ski School. Lessons from €48 per hour in winter. Private ski lessons offer a tightly focussed learning experience that puts the customer at the centre. Choose what you want to cover and your instructor will work with you to design a plan to meet your goals. We offer ski lessons with a top qualified British ski instructor and mountain leader, holding both the BASI Level 4 – the highest level possible – and the International Mountain Leader award. All levels and ages of skier are catered for, with the customer firmly in charge.